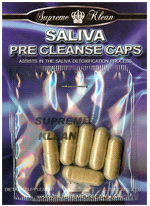 Supreme Klean™ Saliva Mouthwash mouthwash effectively cleanses toxins from your mouth. Easy to use. Just swish and spit. If you are subject to oral saliva drug testing with a swab, make sure you are prepared. This mouthwash is highly effective. Place in mouth and swish for 2-3 minutes. Your mouth will now be coated with solution and saliva will be clean of toxins for approximately 30-40 minutes. Extended effectiveness for up to 30 minutes. This product will save you in a pinch!! 200% 2-Times Money Back Guarantee. Works every time!